The next dimension in design. 4D Design + Consulting specializes in architectural design, interior design, construction consulting, and owner representation. Any one of our services is available for most projects. However, taking advantage of the entire 4D Design + Consulting Process package is not only a guarantee that your project will be managed effectively, but the execution of the final project will meet your expectations. Premier Countertop and tile supplier. 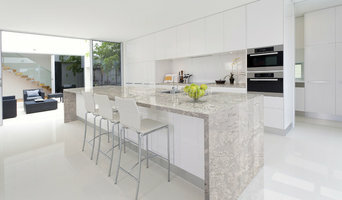 Creative Surfaces Countertops & Tile showroom is your “one stop shop”. Whether you are looking for countertops, floor tile, shower tile, or decorative tile for a backsplash – we have everything you’re looking for with an endless palette of colors for all of our products. Our store is a relaxed, comfortable atmosphere with on-staff designers that will help you here or at your home free of charge. The showroom is a design studio – a place to see all the new products and colors. No project is too big or too small. Stop in and let our designers help you choose the best product that fits your needs and budget. 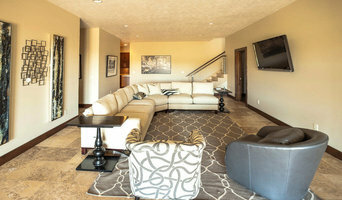 For over forty years, the Rallis family has been building custom homes throughout the Midwest. The tradition continues with Rallis Construction led by Dustin and Michael Rallis. Rallis Construction was created to provide customers with an exceptional, full service custom home building experience at a better value through our collaborative design-build approach. By utilizing the design-build approach, Rallis Construction creates one-of-a-kind, quality built, unique homes. Rallis Construction designs and constructs each home we build as if it were our own. When you have made the decision to design & build the new home of your dreams, look no further than “Award Winning” Rallis Construction. Please note: Photos are posted on Houzz simply to provide inspiration. While we appreciate the comments and questions about specific details that catch your eye, we are unable to respond to all inquiries. Cipher Imaging specializes in Architectural Photography and Graphic Design services for businesses of all sizes and trades. My degree in Architecture and ten years of experience in local architecture firms give me a strategic advantage as a photographer working with area design firms who want their work to be captured in a visually stunning manner. In 2006, Penny Klinedinst opened a small retail store so she could provide her design clients with unique, high quality products. Her first store was 800 square feet; today, it's 8,000 square feet. Simply Perfect and Threads are filled with stunning furniture, textiles, furnishings, accessories, bed and bath items, artwork and clothing. Penny's personal philosophy drives the store's focus on simplicity, balance and beauty (to learn more, visit the Blog.) "There's a card in my closet that I see every day," says Penny. "It reads: 'I will make all things beautiful. This will be my life.' And it is. If I'm not creating, I'm thinking about creating or renewing myself so that I can create more. It could be anything from designing a client's living room to planning a new product line to refinishing a table." Design For Your Space -- Whether you are building a new home or remodeling your existing home, I will help you select finishes that give you the feel you are lookling for. Just want to update your present look? I can help you select furniture, window treatments, artwork and accessories. But before you start sending out dozens of emails and making phone calls, sit down and think about your project. What's your budget? What is the scope of your project? Will you need more than one type of professional to complete your home improvement project in Harrisburg, SD? Can you afford to complete the full project now, or should you tackle it bit by bit? Once you've settled on your project’s priorities, budget and scope, it's time to start researching Harrisburg, SD home design professionals. Don't sell yourself short and settle on the first professional you set your sights on. Make sure that you're working with someone local, who can get to the jobsite easily and efficiently. Look into the person’s reviews, ask to speak with former clients and to see previous jobs in person. Take a good look at their portfolio photos: How similar are these projects to your own? Be honest — that mansion might look beautiful, but it might not have a lot in common with your little bungalow. Reach out to multiple professionals — especially for larger projects — and don't settle for the first bid you hear. Comparing multiple Harrisburg, SD professionals' bids and experiences can help you find the one that’s best for you. Ask a lot of questions now, so you won't have unexpected answers later. Find a home design professional on Houzz. Narrow down your search by type of professional and location. Browse Harrisburg, SD portfolio photos, read client reviews and contact each Harrisburg, SD professional for more information. Check out the information in the specialized professional sections too for tips on how to hire the right professional for your project.